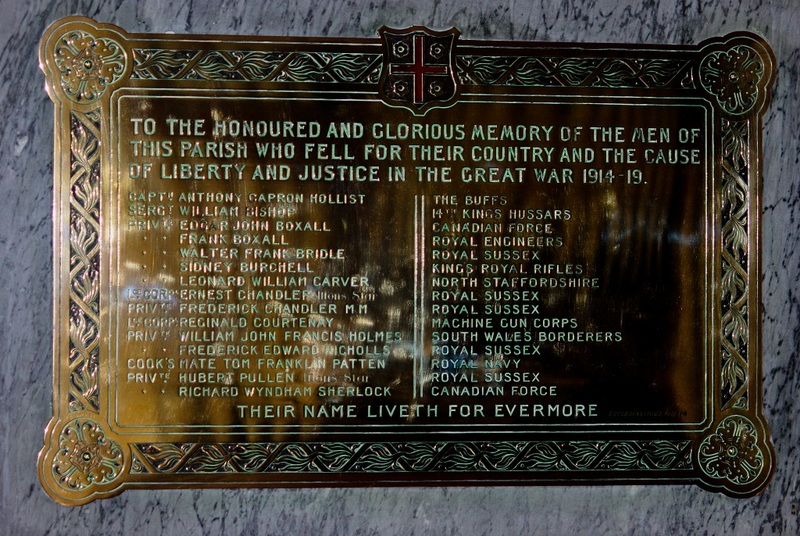 The Lodsworth war memorial is a brass plaque mounted on the south side of the chancel in St Peter’s Church. 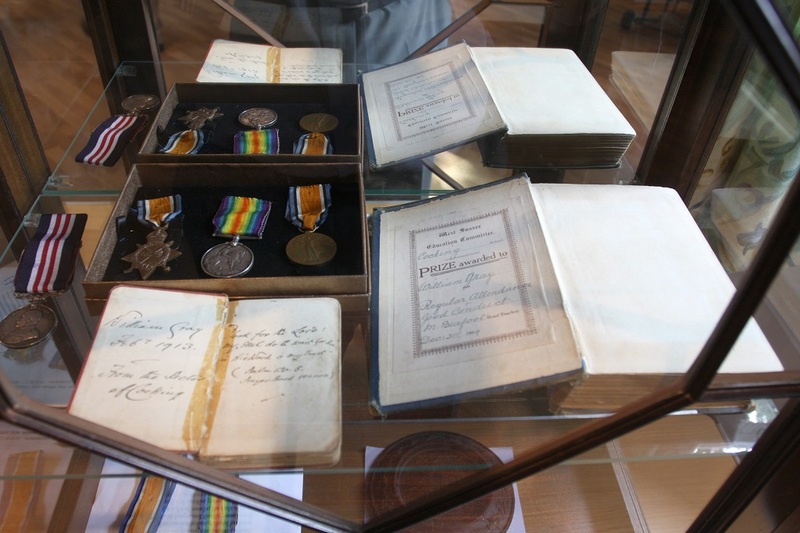 It lists 15 men by rank and regiment. 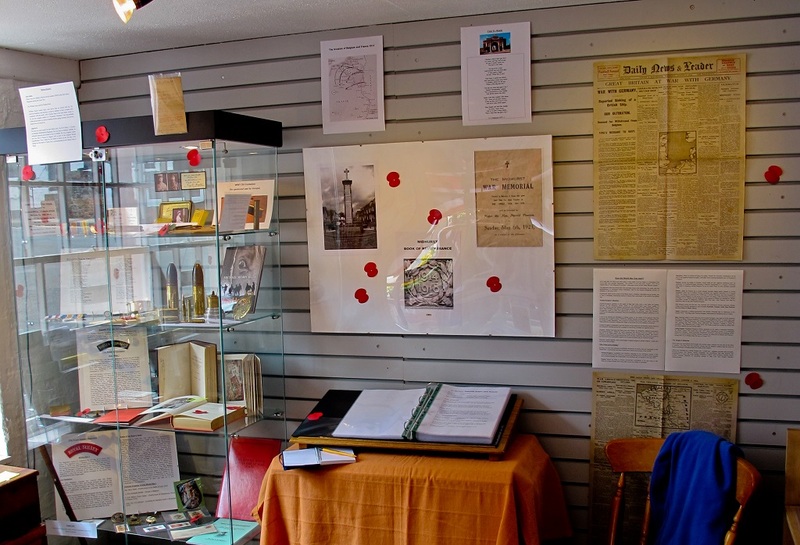 The question of a Memorial [to fallen soldiers and sailors] was left in the hands of the Chairman [James Bridger] to find out opinion of the inhabitants of the parish and, if considered advisable, to call a parish meeting. 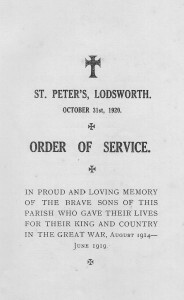 The memorial was unveiled and dedicated at a service in St Peter’s church on 31 October 1920. 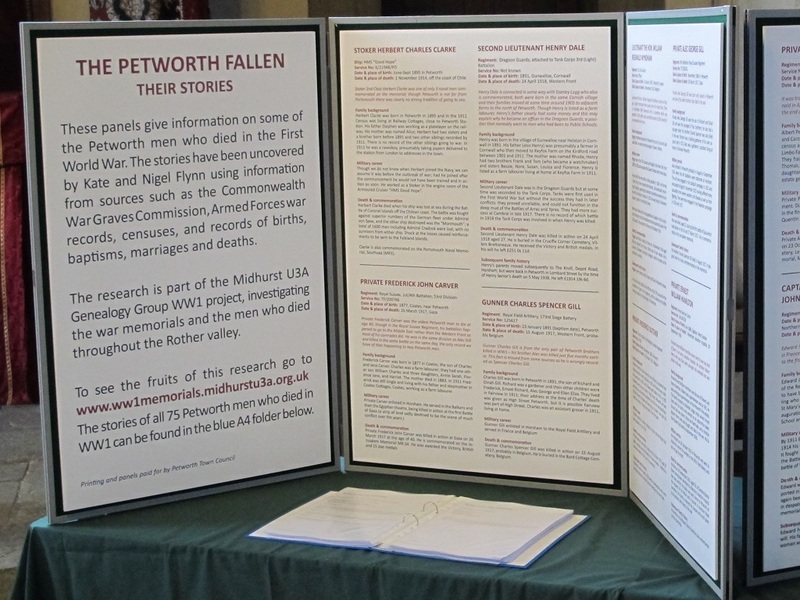 It was unanimously agreed to apply to the Chancellor of the Diocese for a faculty to erect a memorial tablet to the parishoners who had fallen in the war, on the south wall of the chancel of the church. 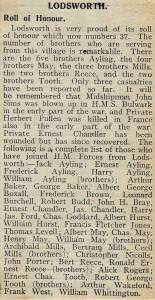 One Naval officer, who had been lost with his ship, was for some reason not included on the memorial. 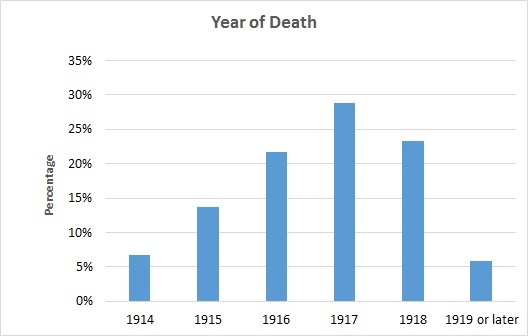 Neither were two soldiers who died in the war and who are buried in the churchyard. 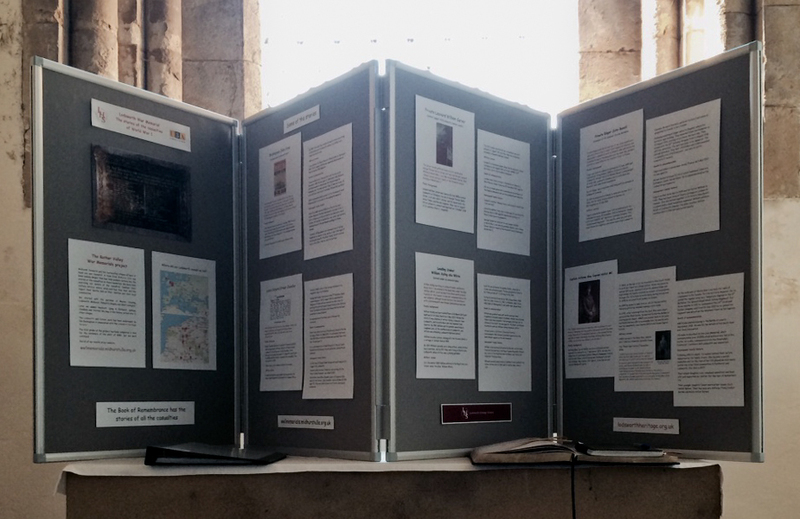 It was decided that the Roll of Honour should be hung inside the church. 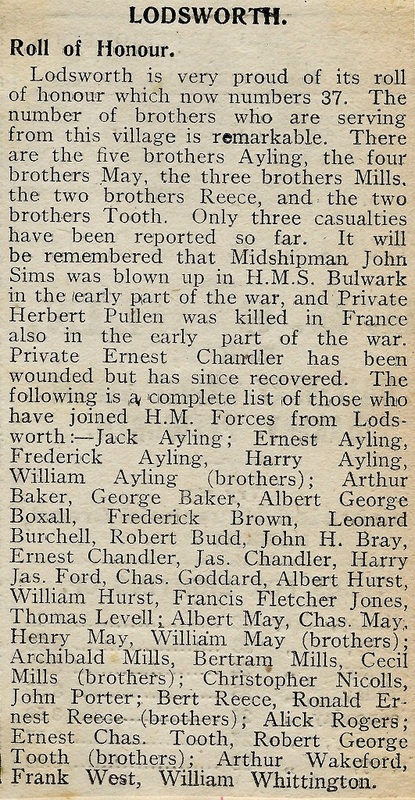 A newpaper cutting from 1915 lists the men from Lodsworth who had enlisted, and in two cases been killed, up to then. 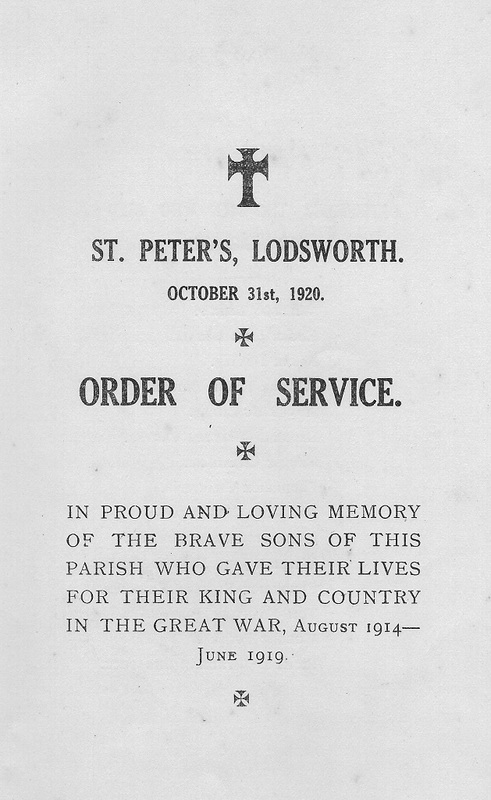 Lodsworth’s first village hall, opened in 1926, was dedicated in memory of those who died in World War 1.